If you need to sell quickly, you may be wondering whether now is a good time to sell a house. There are several factors to evaluate, which will be covered in this article. The season, month and even the week will impact your home’s sale. If you need to sell in an off-peak season, don’t worry. We cover all of your options. When is the best season to sell a property? Spring is a great time to sell your house. With flowers and trees in blossom, excellent lighting and warm weather, your home will look its best. The market starts to flourish during early February and reaches its peak sales in March. However, adverse weather could prolong this time frame. The summer months have been known to create sales. However, it is best to put your home in the market during the first half of the summer for optimum chances of finding your buyer. Equally, keep in mind that the summer is a competitive period to sell your home. Sales tend to slow down during the autumn. With the back-to-school bustle, fewer families hunting for a home. However, if you are planning to sell during this time, there is a window of opportunity. Aim to sell between mid-September and the end of October. Winter is notoriously known as the worst season to sell. The build-up to Christmas is expensive and busy. If that wasn’t enough, the weather doesn’t help anyone. Neither does the season showcase your home in its best light. For example, the garden will be bland, and the trees are bare. What is the worst month to sell a house? Each month has a handful of advantages and disadvantages. 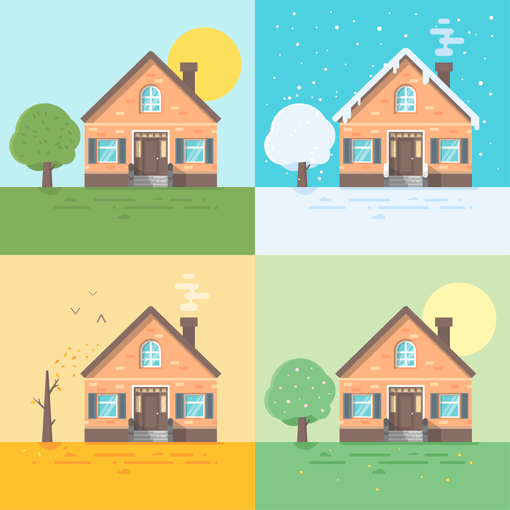 However, if you are trying to sell your home quickly, the worst months to sell a house are in the winter period. According to The Advisory, houses take the longest to sell between mid-October and November. Although, there are a number of factors that can prolong the sale. Which days to avoid putting your home on the market? It is crucial to avoid selling during national holidays, religious festivities and school breaks. For example, bank holidays often entail reduced working hours for estate agents. While the spring is a great time to sell, it is packed with bank holidays. Similarly, you should avoid half term as many families travel abroad. Equally, there may be additional days to avoid depending on your location. For example, consider whether your area is dominated by a specific religion or ethnicity. If so, it is worth noting these holy days and traditional celebrations. What is the best month to sell a house quickly? While it may be tempting to thrust your property into the market at the start of a new year, it is best to hold off until the spring. If you are looking for a quick purchase, March has been identified as the best month to sell a house. According to Rightmove data, it takes an average of 57 days to sell during March. However, there are ways you can sell year-round within less time. For many people, even the healthiest month of the year is not sufficient for their personal circumstances. If this is the case for you, choosing an alternative route may be your best bet. How to sell your property quickly year-round? If you have the cash to spare, why not add value to your house before putting it on the market through some quick renovations? For example, fresh paint will lift the home (even on a rainy day). There are plenty of easy fixes you can do yourself. Of course, this option isn’t bulletproof from the off-peak season, but it certainly helps. If you are selling a house in the winter or other challenging times of the year, it is essential to be prepared for every single viewing. For example, ensure your garden is mowed, and home is decluttered. You can show off your home’s best features through staging it. Equally, remember to keep the house well lit during bad weather. Clients often ask, “how can I sell my property fast in an off-peak season?” The answer depends on your time frame. Considering that the fastest selling season takes an average of nearly two months, an estate agent may not make sense even with the top selling tips. If you want to guarantee a sale that works on your timeline, a trusted home buyer company may be the right choice. For example, businesses such as Fast Sale Homes purchase homes year-round and can guarantee a purchase within as little as a few days. If you are trying to sell during the spring, you may be in luck. We recommend adding your home to the market in March. Just watch out for those endless bank holidays! Additionally, keep an eye out on the overall health of the post-Brexit property market. However, sellers needing a quick buyer may wish to skip the estate agency fees and sell their property to a quick-sale company instead. This route allows you to get a good deal all year-round and puts you in control of the process. Hopefully, this blog has helped you know when to sell your house!